Q. A volume of 8 liters of gas has a pressure of 50 kPa and a temp of 27oC. 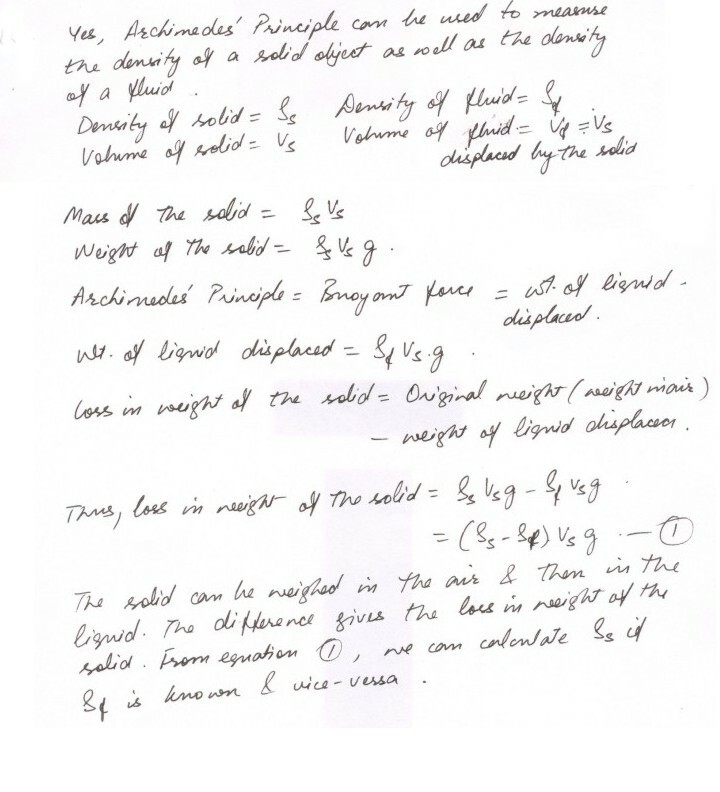 a) If the pressure were increased to 300 kPa without changing he temperature what would be the resulting volume? b) If the temperature was raised to 627o C while maintaining the original pressure, what would be the final volume? c) What would be the resulting volume if the temperature was raised to 627oC and the pressure increased to 300 kPa simultaneously? Q. A cord is 5.71e+1 meters long and 1.56 mm in diameter. When it supports a 1.41 kg load it stretches 3.50 cm. What is the Young's modulus of the cord's material? Can Archimedes principle be used to measure the density of a solid object? Can it be applied to the problem of measuring the density of a fluid? Write an equation that will handle these two problems.